Award-winning author Bonny Becker and artist Benrei Huang have created a quiet picture book for children ages 4 to 7. A grandfather picks up his granddaughter from school and they take the quiet way home. Avoiding noisy dogs and banging trucks, the pair stroll across fields and down peaceful paths, relax in a patch of blowing dandelions, taking in the quiet sounds. Bonny Becker is author of the best-selling “A Visitor for Bear,” winner of the E.B. White Read Aloud Award and a selection for Oprah Winfrey’s Children’s Book List. 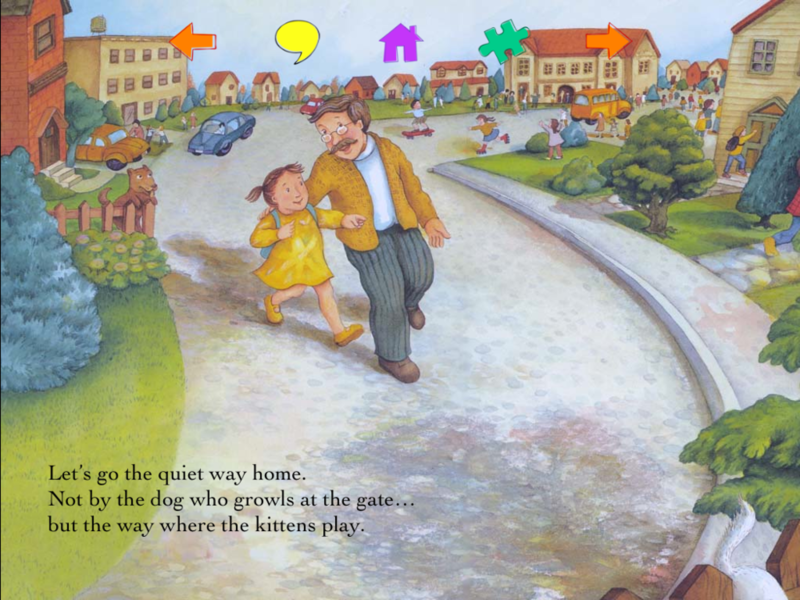 “The Quiet Way Home” was selected for the educational program, Before Five in A Row, based on outstanding children’s books for ages 2-4. In all, Bonny has published 12 books for children. Children can choose to have the story read to them by the author (with words highlighted), or an adult or older child can read the text. Pages turn with a gentle swipe or by tapping orange arrows. A gentle song plays while the readers see and listen to the world around them. 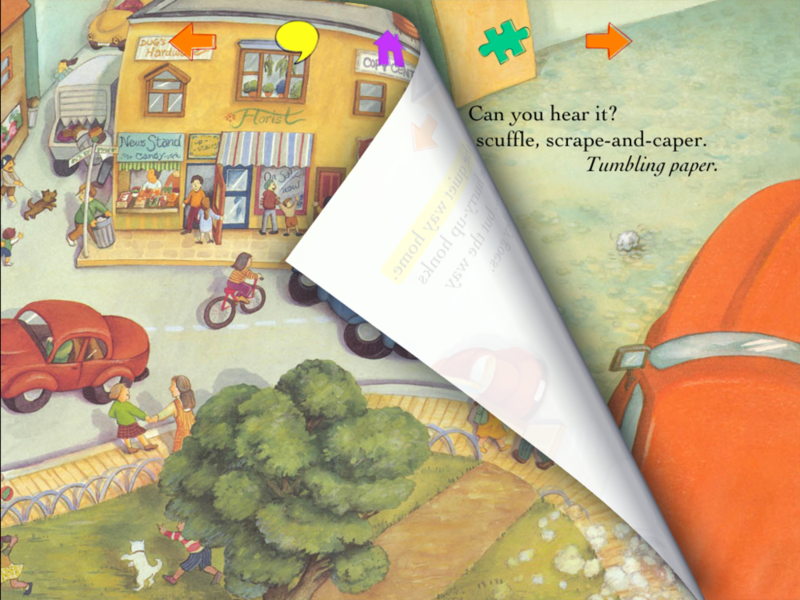 With a tap on the puzzle piece, children can do 9-piece jigsaw puzzles based on the current page. Benrei Huang is a New York-based painter, writer, and book illustrator. She studied fine art at National Taiwan Normal University in Taiwan and received her MFA in Illustration at the School of Visual Arts. From 1988 to 2008 she worked primarily as a children's book illustrator. In 2008, she began to pursue her love of painting again, developing a series of paintings based on a recurring character from her sketches.